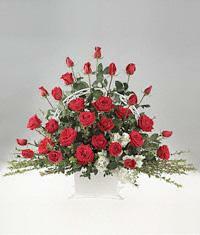 24 pieces of red roses in a gorgeous native basket. Beautiful and delicate pastel colors flowers arranged in large fireside basket. Perfect for decoration of any ceremony or party.